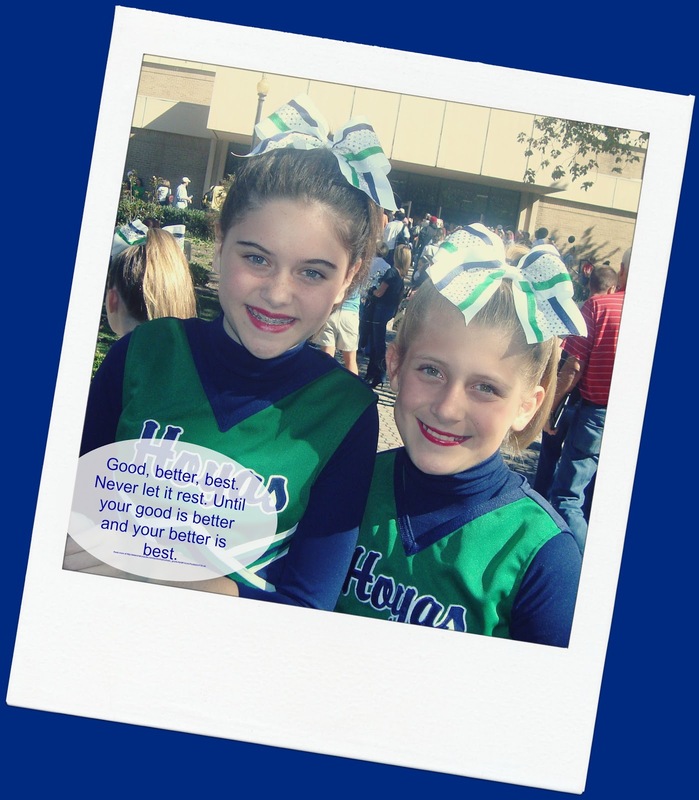 Cheerleading, what can I say, it's a sport but not always recognized as such. I will say the practices are gruling very long after a full day of school and then to run through he routine over and over again to get it right - yikes. I don't know if I could even endure it. Combine that with 20+ girls all having to be on queue, all together, it's a hard task at best. This past weekend we had a Cheerleading competition after weeks of practice, sometimes two and three nights a week after school. The local High School gym was filled with spectators for the various squads in their team colors form T-shirts, to glittering wigs to noise makers and air horns. All the hard work paid off and WE WON in our division and our coaches won for choreography. It was so exciting for the girls and they each received a trophie for their accomplishment. As with any team or squad it was back to the practice gym this week to get ready for competition number two in a couple weeks. Kleenex has a great custom tissue box design which allows you too add your athletes photo to the tissue box - how fun! !